Ridge Runner Full Tang Sonic Throwing Axe & Sheath | BUDK.com - Knives & Swords At The Lowest Prices! 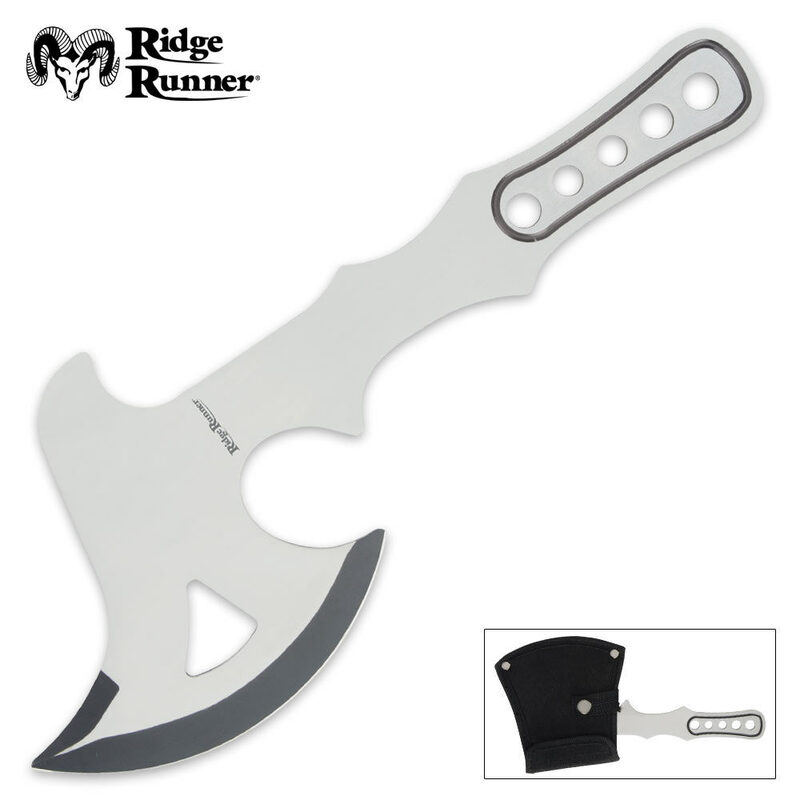 Achieve sonic throwing speed and accuracy with this Ridge Runner Sonic Throwing Axe. Crafted of one solid piece of cold, hard, stainless steel, this throwing axe features a razor sharp, black-coated blade with a contoured handle. Both the handle and the blade feature cut-out designs that allow this axe to sail through the air at greater speed! Includes nylon belt sheath with snap closure. Measures 9” overall. This was a Good throwing axe with a very strong hilt and sharp blade. This is great when I first saw this I was deeply in love and a good price for it too.